Clean lines, raw mountain stone, soft leather, flawless elegance. 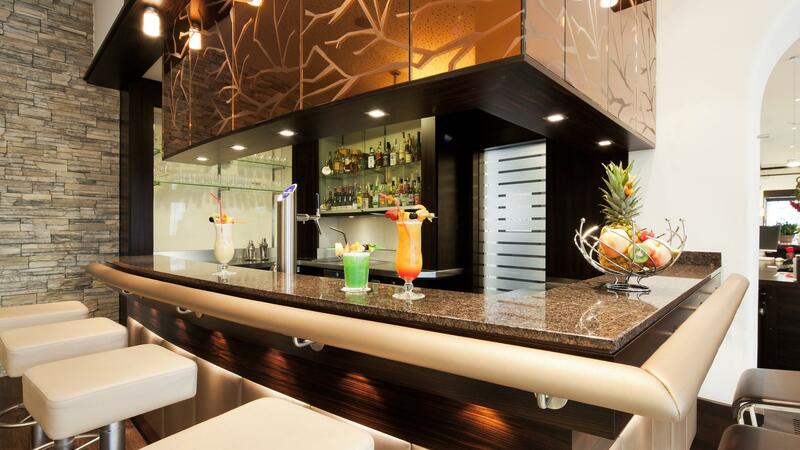 Our sports bar is designed for relaxation. This is the perfect place to cap off an exciting day in Augsburg. Get comfy in one of our high-quality chairs, treat yourself to something good to eat and experience unique TV entertainment in flawless colour on our impressive full HD big screens. 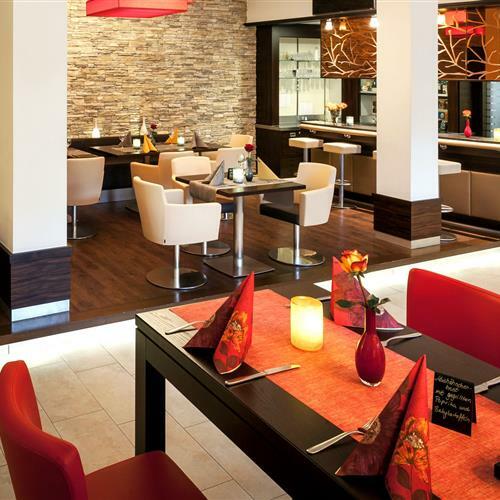 Look forward to a fun evening of football with class and style in the modern atmosphere of our bar near Augsburg. It’s almost as if you were really at the WWK Arena in Augsburg - watch pro sports games, tournament matches and world championships on one of the many flat screen TVs in our sports bar. Don’t miss any of your favourite games and enjoy sensational entertainment with SKY SPORT in spectacular ultra HD. It can’t get any sharper, faster or more exciting to view. Don’t settle for second best - enjoy a first-class sports evening at the Best Hotel Zeller! Treat yourself to the 4-star Best Hotel Zeller's exclusive Sky & Dine offer and have an unforgettable night of football with friends! We will arrange our lounge furniture perfectly so you will always have the best view of your favourite match and won’t miss a single highlight. Visit our Sky Lounge and enjoy the best sports and matches from a surprising new perspective. Moments of pure adrenaline and a first-class meal await you with Sky & Dine at Zeller’s Lounge Restaurant. Watch your favourite sport on big screen TVs - of course in full HD and with incredibly sharp picture quality! UEFA Champions League, Bundesliga German football, PGA Championships, the Super Bowl or Formula 1 races - you’ll feel like you are actually there! 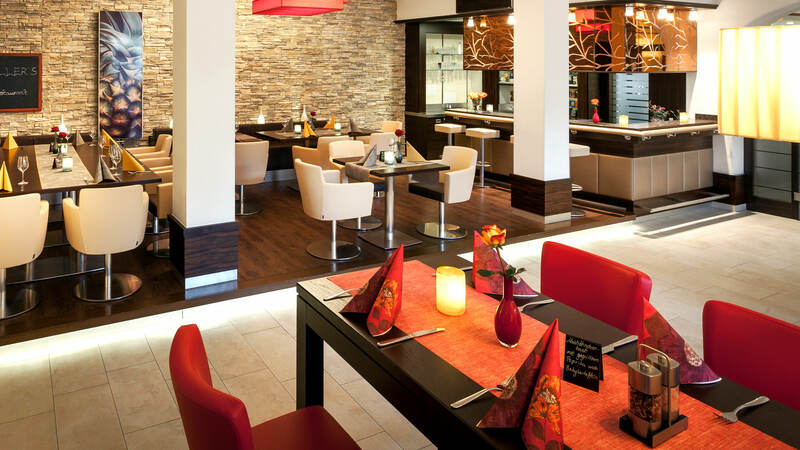 Treat yourself to a fun break, enjoy delicious food and spend an enjoyable evening watching sports in the exclusive Zeller Lounge Bar near Augsburg.